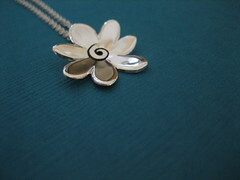 Here is my new daisy necklace. I love the domed effect. This is by far my favorite piece of jewelry in your shop - its just exquisite!